Babblings of a Mommy: Look What I Scored @Marshalls For 10 Bucks! Look What I Scored @Marshalls For 10 Bucks! So on Monday I decided to hit up Marshall's, since last week I had great luck finding doggie beds at Home Goods (I bought 2 for the price of 1 at the pet store - Holla!) I always love going in there and don't know why I don't go more often, because you can always find some great deals even if it takes a bit to scavenge through the store. 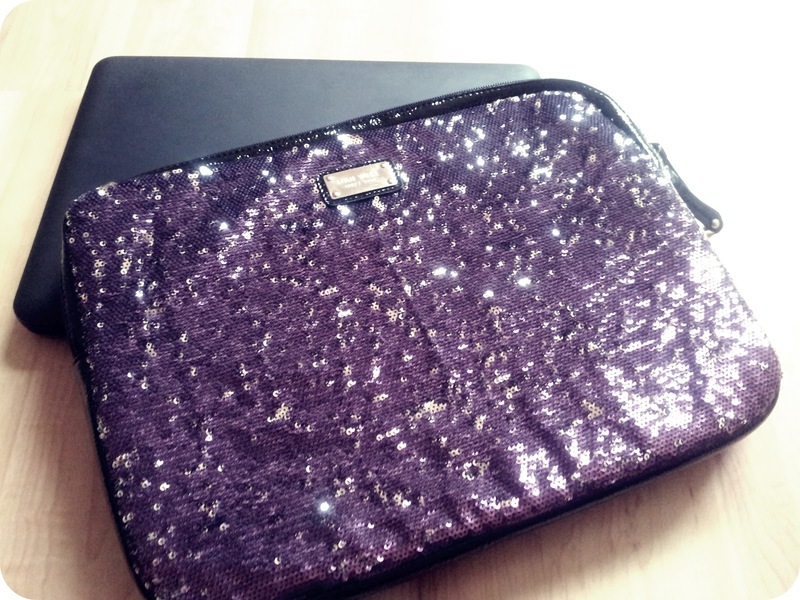 I ended up finding a few things including a cute jacket for my daughter and a fly away cardigan for myself but what really caught my eye was this Nine West Glitterazi laptop sleeve because, let's face it--I have a weakness for anything that sparkles. But as much as I liked it, I was unsure if I should buy it because I already have a cute laptop case. Then I saw that it was on clearance for $10 (originally $25), and determined that I would be a fool to put it down. What have you gotten at lately recently? Before you go, I will love forever if take a moment and vote for me at Circle of Moms Top 25 Fashion and Beauty Moms. Thanks! Love finds like that! Such a fun laptop case! I am so jello! I love that case! Great find! Are you kidding?! I need to go thrift shopping with you!! You always find the most amazing stuff! LOVE that. Such a great deal! !